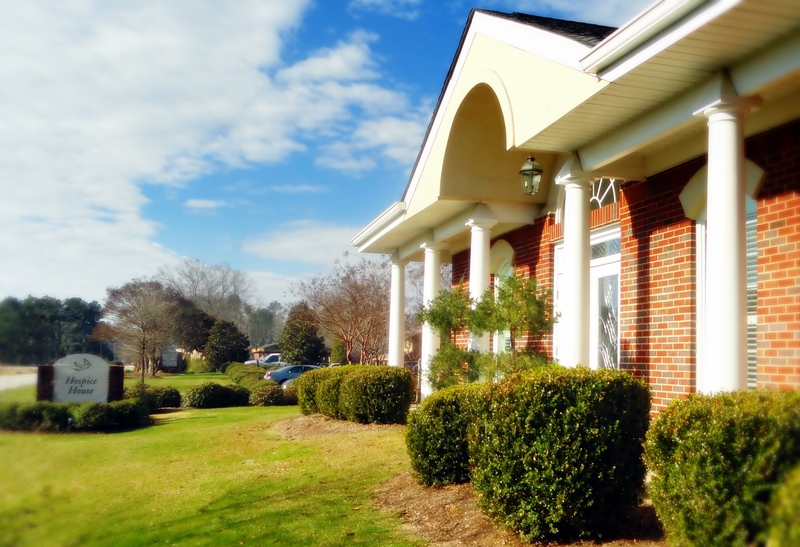 For over 30 years, hospice home care has been the cornerstone of services provided by HospiceCare of the Piedmont. Today, that same passion for providing the best quality of life for those we serve can be seen in the expanded programs which include the Hospice House. There are times when a patient’s care cannot be managed at home. There may be a need for a medication adjustment, the need for more skilled care than loved ones can provide and when there is a period of respite needed for caregivers. Those times are when patients and families turn to the Hospice House. The Hospice House offers a homelike setting which encourages families, including children and pets, to visit and a family member to stay overnight. Each patient room is comfortably decorated and furnished with a sofa sleeper and recliner and offers a private bath. The family room, family kitchen, sunroom and chapel allow families to enjoy many of the comforts of home. In addition, the surrounding gardens, patios and gazebo allow the patients and families an opportunity to enjoy the peace and tranquility of the outdoors. Patient’s receive the finest medical, spiritual and emotional support and are able to live out their last days with dignity and comfort. All patients currently enrolled in HospiceCare of the Piedmont programs are eligible for admission based on need. Patients from area hospitals are eligible for care based upon meeting the program admission guidelines. Admission to Hospice House is made without regard to age, gender, race, religion, disability, sexual orientation, diagnosis or ability to pay for service. Are in need of symptom management – such as medication adjustment and other palliative care procedures. Require more skilled care than a loved one can provide, usually in response to a medical crisis. Require short term respite care in order to relieve the caregiver. Have the need for teaching and assistance in order to transition from a hospital to home or nursing home. HospiceCare of the Piedmont aims to give special care, embracing our patients with warmth, understanding and friendship, offering them and their families guidance and support during difficult times. The construction of Hospice House was funded through the generosity of people in the communities we serve. Community support enables HospiceCare of the Piedmont to continue to provide high quality end-of-life care. Funds continue to be needed to pay for this special project. Care is provided for all medically qualified patients and is covered by Medicaid, private insurance and donations. No one is turned away because of inability to pay for services.